A couple of days ago I had the privilege of hanging out most of the day at a poolside cabana at Vdara. It was about 115 degrees outside, but with fans, misters and a private dipping pool for those in the cabanas, it was pretty fantastic. It's on days like this that I suddenly remember that living in Las Vegas has its perks. The day was arranged to celebrate the birthday of my good friend Naomi, but it may as well have been my birthday, because that is how much I enjoyed myself. Naomi used to be a Christina Aguilera impersonator before she had kids, but she is an incredible singer in her own right. She is one of those women who can wear a bikini top and chaps until they are 5 months pregnant. Which she actually, really, truly did while she was pregnant with her first baby and was still working as an impersonator. Shout out, Naomi! Happy birthday! 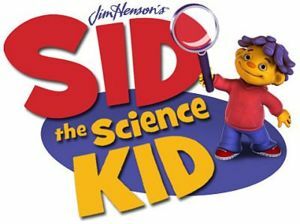 I am sure your kids have all seen Sid the Science Kid on PBS by now. If they haven't, well, I find that odd since even my kids have seen and loved it, and they don't watch TV much these days. I wanted to give you the heads up that there is going to be a new episode airing on Vegas PBS this Monday. It's called "Sid's Backyard Campout". I was invited to hold my own backyard campout and to blog about it, which sounded like so much fun I simply could not pass it up. So this weekend I am having a backyard camp out of my own for my kids and some of their friends. I'll be posting pictures on Sunday of how it all went, and I just have one thing to say to you: 'Smores. I went to a picnic yesterday afternoon, and I unwisely brought potato chips to share. And I also unwisely brought the remains of those chips home. And I stupidly just ate the rest of the bag. 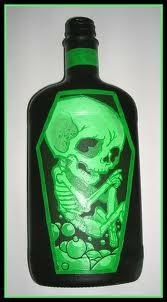 And I think I might have pickled my baby. 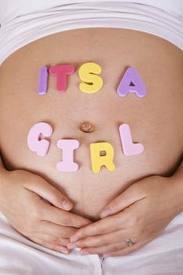 Do any of you know much salt does it take to pickle a baby in utero? If you do, please tell me. I have been craving salt lately, but when I mentioned it to my OB last time he said I needed to be careful because Americans already have high-salt diets. But here's the thing - why are people always complaining about Americans having a high salt diet? Other people in other countries also consume a lot of salt and no one criticizes them for it. Its unfair. Americans are not the only people in the world who enjoy salt. I went to the mall today for lunch, because my cupboards are looking rather bare and the things I do have I cannot eat due to the fact that carbs make my blood sugar spike. I could have gone to the grocery store to stock up on real food but that makes far too much sense and is too practical. I will leave it to the June Cleaver sorts to do smart things like grocery shop. So off the to mall we went, to get irresponsible food for the kids responsible food for me. FYI, I am still hungry. And now I am home again with carbs staring at me in the face. I'm not going to lie, it hurts a little. Anyway, the point in telling you all this is that I want to make a comment on all those pre-teen girls at the mall, the ones wearing mini-skirts and high heels. What is up with that?? ?